A Rocky Mountain High Earth Day Tribute Concert to John Denver hosted by Olivia Newton John and featuring the Nitty Gritty Dirt Band, Lee Ann Womack, Richie Furay, John Oates and members of John Denver’s band. The event, hosted by Olivia Newton-John, was associated with a celebration of the international space program and included an appearance by NASA Astronaut Michael T. Good. 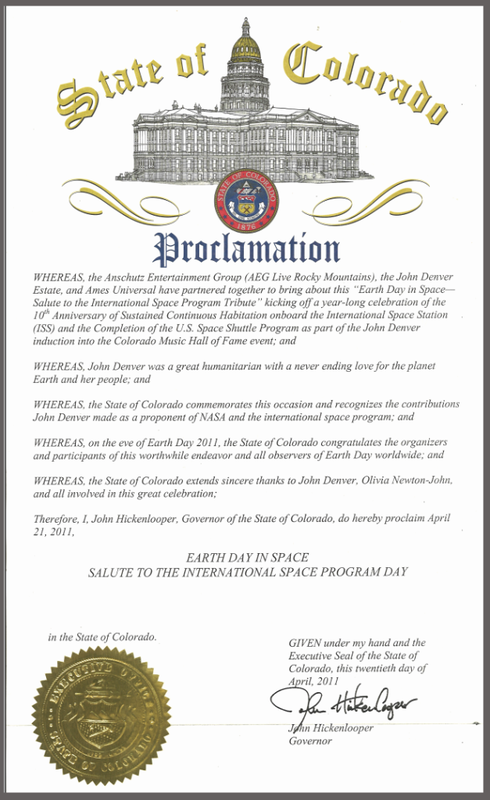 Ames Universal, in partnership with the Anschutz Entertainment Group (AEG Live–Rocky Mountains) and the John Denver Estate, conducted “Earth Day in Space—Salute to the International Space Program,” the kick-off to a year-long celebration of the international space program. The celebration commemorates the 10th Anniversary of continuous sustained life on-board the International Space Station and the completion later this year of the U.S. Space Shuttle Program. The Benefit Concert, hosted by Newton-John, also included musical performances by the Nitty Gritty Dirt Band, Sugarland, John Oates, Michael Martin Murphey, Richie Furay, Lee Ann Womack and others. Newton-John said, “It is a privilege to host John Denver’s induction into the Colorado Music Hall of Fame on Earth Day Eve. John was an avid lover of the international space program, which we also celebrate today.” A portion of the concert’s proceeds will benefit the Cousteau Society, the Windstar Foundation, and the University of Colorado’s School of Music. 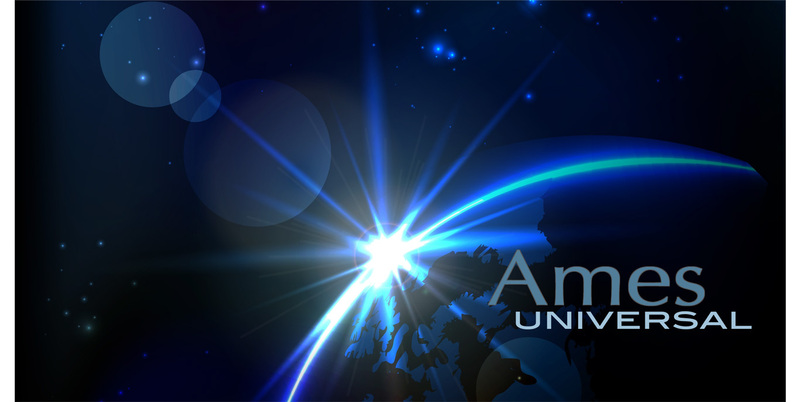 © 2019 Ames Universal Inc.